This powerful shredder is a gem of a find! The EverShred C149-C from Bonsaii shreds up to 18 sheets of paper into cross cuts, and can work continuously for an entire hour due to an internal cooling system. You may not have heard of the Bonsaii EverShred, but it’s about time you have. This brand isn’t very well known or widespread in the west, but this model is a gem of a find. I’ll start off by saying that this is definitely one of the more pricey shredders on the market. It retails for £199.00, and is usually discounted by fifty odd pounds (it’s £149.99 on Amazon). Still expensive for a personal shredder, but do hear me out before you completely disregard the Bonsaii EverShred. 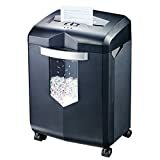 This shredder has got a lot going for it, and learning more will make the price a little more reasonable. The Bonsaii EverShred C149-C 18-Sheet Paper Shredder is a cross cut shredder, cutting your papers into pieces of approximately 5 mm by 45 mm. It’s a normal sort of cut, not too big but not too small either. However, what’s notable about the Bonsaii isn’t the cut, but the way it cuts. Due to an internal fan and cooling system, you can continuously shred for an entire hour. Not only that, but the Bonsaii EverShred C149-C takes 18 sheets of paper at a time, and shreds nearly 2 metres a minute. The auto start and stop allows you to focus on feeding the beast without pause, and a reverse function helps with any potential jams. 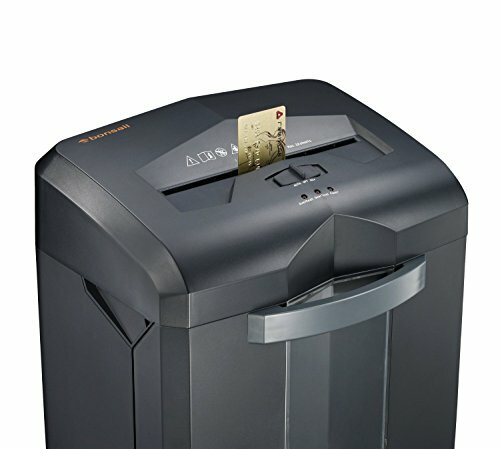 This all-around powerful machine is also capable of mincing your credit and debit cards, CDs, DVDs, and staples as well. 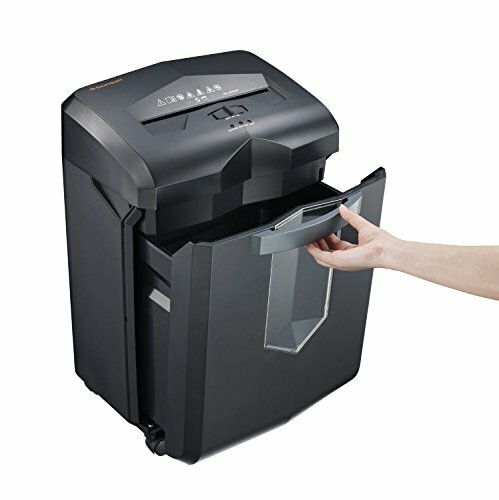 The Bonsaii EverShred C149-C 18-Sheet Paper Shredder is a robust machine that eats up just about anything you throw its way. You would be hard pressed to find another personal shredder that shreds CDs too. With a shredder this powerful, you’re going to have to expect a hefty size. The Bonsaii EverShred C149-C is 36 cm by 28.5 cm by 54.5 cm, and weighs in at approximately 10 kg when empty. Thankfully, you won’t be lifting the EverShred too often, if at all, because it has wheels for easy mobility. There’s also a pullout waste bin, so you don’t need to heft the thing up to empty it of its contents. 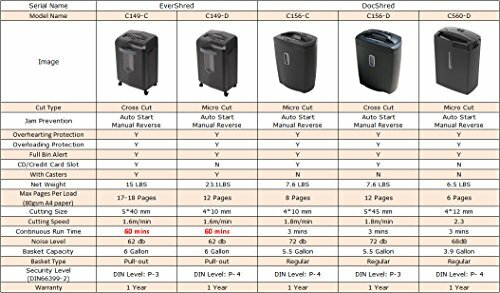 The rather bulky size does limit where you can store the Bonsaii EverShred C149-C 18-Sheet Paper Shredder, though, so it may be best to oversee and measure the amount of space you have available before purchasing this machine. 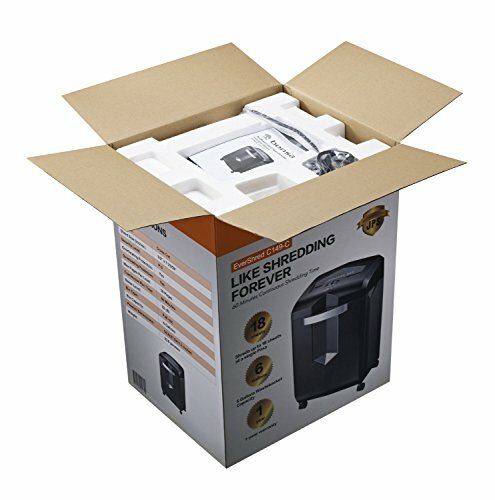 You don’t want to be left with a 10 kg shredder with nowhere to put it. The pullout waste bin also features a viewing window, which covers the upper two thirds of the overall height. 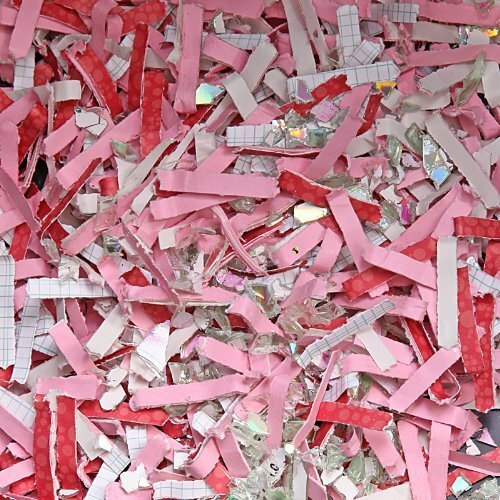 As you may already know, a window is important for monitoring the level of waste in your shredder – if it’s stuffed, you run the risk of paper jams. Plus, it’ll create even more mess when you do finally go to empty the bin, as the excess paper bits will fall to the floor when you pull the drawer out. You may even have trouble pulling the drawer open at all. Thankfully, you won’t have to get up and empty the bin too often and it should be a long while before you have to dump the shreds, as the bin holds up to 23 litres. You shouldn’t fill it to the brim, mind you, but you should be able to shred quite a few piles of paper before it needs emptying. One downside is the length of the power cable, which, at 1.6 metres, makes an extension cord necessary. Not the worst inconvenience, but an inconvenience nonetheless, especially when considering just how much space this shredder takes up. You can’t exactly stash it underneath your desk. For such a heavy duty shredder, you would think that the trade-off would be a lot of noise. The Bonsaii EverShred C149-C 18-Sheet Paper Shredder is surprisingly quiet though, at just 62 decibels. Most others of similar size average out at around 70 to 75 decibels, so it’s surprising to say the least that the shredder of this caliber is even quieter. It’s not like it’s an undetectable amount of noise, it still is a shredder after all, but it’s particularly quiet for what it does. All in all, this is a pretty impressive machine. Not only is it capable of shredding a large load of paper at once, but it does so one after the other, lasting up to 60 minutes. 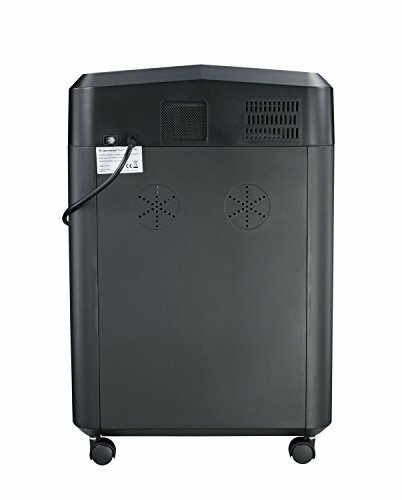 The internal cooling system is a boon, and makes this shredder ideal for those of you who dislike waiting for your shredder to cool down after using it for mere minutes. 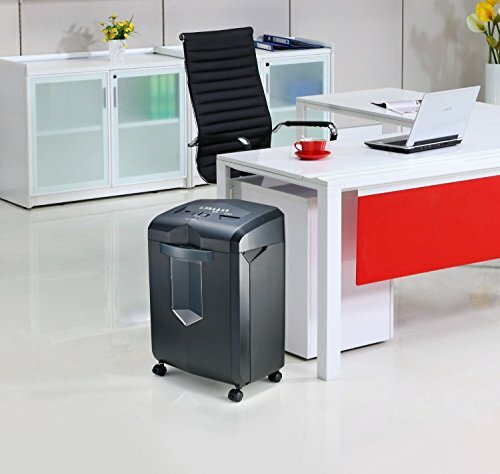 Although it’s a big shredder, the Bonsaii EverShred C149-C 18-Sheet Paper Shredder is built with its size in mind, with the pullout drawer and wheels for movability. It does lose marks for the relatively short power cord, but it’s a minor grievance. The Bonsaii EverShred C149-C is definitely an investment at its price. It may even be better suited for an office setting with its capabilities.